What is the chance that my SSDI claim will be denied? My initial claim was denied. Should I consider an appeal? How many people file claims for SSI and SSDI benefits? What is the date of onset? When will I receive my first benefit check? Are there other benefits for SSDI recipients? How long does it take the Social Security Administration to make a decision? If I am approved for SSDI benefits, how much will I receive? What are Some of the Differences Between SSDI and SSI Benefits? The Social Security Administration (SSA) oversees two federal programs designed to help those not able to work due to long lasting or permanent disabilities: the Social Security Disability Insurance (SSDI) program, and the Supplemental Security Income (SSI) program. Many claims are denied—in the most recent SSA data, over 60%. * Statistical studies show that your chances of winning your case improve, however, if you are represented by a Social Security lawyer. Most Social Security Disability claims are denied at the initial level. If your claim was denied you should appeal unless you have already returned to work, expect to return to work in the near future, or more than sixty days have passed since your denial. Disability may be a familiar enough concept to many people, but rarely do we think of the possibility of becoming disabled ourselves until we become ill or experience an accident. Surprisingly, though, the chances of becoming disabled are probably far greater than you imagine. It is expected that a 20-year-old worker today has a 3-in-10 chance of becoming disabled before reaching retirement age. Your "date of onset" is considered the first day you are unable to work because of your disability. The date of onset may or may not be the same as the date you were diagnosed. Applicants typically use the date they last worked as the date of onset. Benefits will not be retroactively paid for more than one year prior to the date of an SSI, SSDI, or Disabled Widower(s) claim. Disabled Adult Child benefits will not be paid retroactively for more than six months prior to the claim. It is important to file as soon as possible to secure maximum benefits. For SSI, SSDI, and Disabled Widow's and Widower's Benefits, the benefits cannot begin until five months have passed after the person becomes disabled. For a Disabled Adult Child, there is no five-month waiting period before benefits begin. SSI benefits cannot be paid prior to the start of the month following the date of the claim. The Social Security Administration is responsible for two major programs that provide benefits based on disability: Social Security Disability Insurance (SSDI) and Supplemental Security Income (SSI). Social Security Disability Insurance (SSDI) is a disability insurance program financed with Social Security taxes paid by workers, employers, and self-employed persons. To qualify for Social Security Disability Insurance the worker must earn a certain level of credits based on taxable work. SSDI disability benefits are payable to blind and disabled workers, widows, widowers, and adults disabled since childhood if they are otherwise eligible. Supplemental Security Income (SSI) is a need-based government assistance program. SSI disability benefits are payable to adults or children who are disabled or blind, have limited income and resources, meet the living arrangement requirements, and are otherwise eligible. SSDI benefits amounts are determined by a formula which takes into account your earnings record. The formula allows for yearly increases in the individual benefits in order to reflect adjustments in the cost of living. The amount of your benefits will be based on your average earnings for all of the years you have been working, not just your most recent salary. Medicare: An SSDI beneficiary is automatically eligible for Medicare 24 months after the onset date or date they were found to be disabled. Medicare coverage starts in the 25th month of your SSDI entitlement. SSA will automatically send you information approximately 3 months before you are eligible for Medicare. Food Stamps: Social Security disability recipients may be eligible for Food Stamps but must file a separate Food Stamp Program application. Under Social Security rules a qualifying disability is a total disability. No benefits are payable for partial disability or for short-term disability. Disability under Social Security is your inability to do the work that you did before your disability began and the SSA determines that you cannot adjust to other work because of your disability. Your disability must also last or be expected to last for at least one year or to result in death. In most cases, Social Security makes the first decision within five months after you file for disability benefits. If you are denied SSI or SSDI at the initial application stage and appeal the decision by request for a hearing, it takes an additional twelve to twenty-four months to get a final hearing decision. For Social Security Disability benefits the amount you receive is based upon how much you have worked and earned during your previous years of employment. For disabled widow's or widower's benefits, it depends upon how much the late husband or wife worked and earned. For disabled adult child benefits, it all depends upon how much the parent worked and earned.For all types of SSI benefits, there is a base amount that an individual with minimal income receives. The monthly payment varies up to the maximum federal benefit rate, which may be supplemented by the state or decreased by countable income and resources. Other income that an individual has reduces the amount of SSI which an individual can receive. If you or a friend or loved one needs to file a claim for social security disability, please use the Contact Request Form and one of our representatives will call or e-mail you. Or call us directly at 808-228-9023. There are many specific detailed rules that apply to qualification for Social Security Benefits under Social Security Disability Insurance (SSDI) or Supplemental Security Income (SSI). Below is a general overview of the basic requirements. Our Disability Lawyers and staff members have extensive experience in helping individuals qualify for SSI or SSDI benefits. Eligibility for disability benefits is determined by the nature of your disability, your ability to work, and your work history. 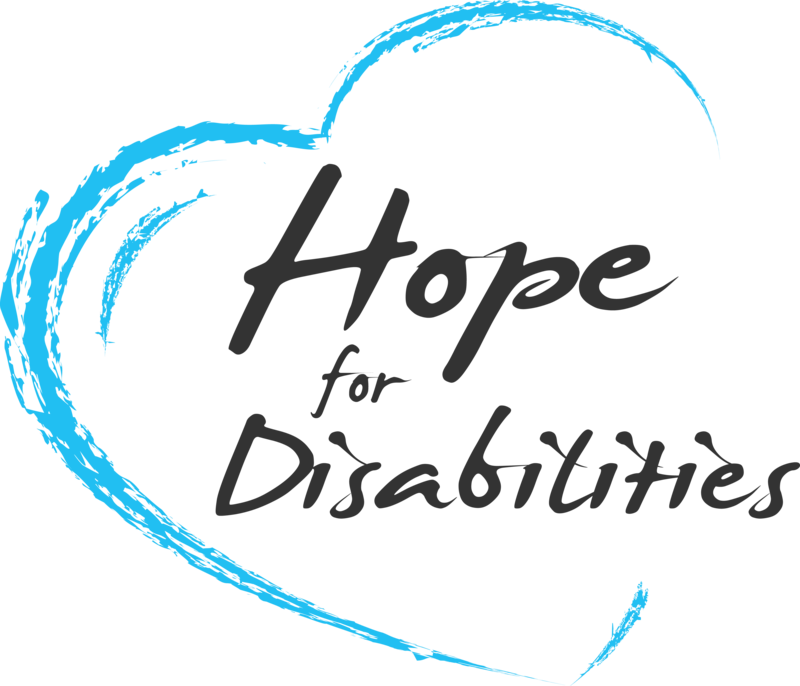 Below are links to more information about some qualifying disabilities. Each case involves unique factors, however. Your disability may not be listed below but you may still qualify for valuable Social Security Disability Insurance (SSDI) or Supplemental Security Income (SSI) benefits. The definition of disability under Social Security Administration guidelines is stringent. Social Security pays benefits only to those who have total disabilities. No benefits are payable for partial disability or for short-term disability. The SSA considers you to be disabled if it determines that you cannot do the work that you did before you became disabled and you cannot adjust to other work because of your medical problem(s). Your disability must also last or be expected to last for at least one year or to result in death. 1) Maximum earnings: If after you became disabled, you continued to work, you cannot have earned or now be earning an average of $860 per month or more during the first 12 months of your disability. After that you can't exceed that amount for more than 9 months. 2) Inability to work: Your condition must prevent you from consistently performing basic work-related activities. 3) Qualifying disability: Your medical problem must either be on their list of qualifying medical conditions, or it must be determined to be equivalent in severity to a listed condition. NOTE: If you meet these first three requirements, you are considered disabled by Social Security. If you only meet the first two requirements, but do not meet the third, then you may still qualify as disabled if you also meet the fourth and fifth requirements. 4) Inability to perform previous work: Your condition must prevent you from consistently performing the work you did previously. 5) Inability to adjust to new work: You are found to be unable to adjust to other work. Supplemental Security Income (SSI) is a program for those with limited resources who have become disabled. It is a type of welfare program. There are work requirements for SSDI, but none for SSI. This is intended to fill the gap for disabled persons who cannot meet the work requirements. There are asset limits for SSI, but none for SSDI. You need to have earned a minimum amount of money (as little as $3880 per year) over enough years throughout your life, as well as over the ten year period that leads up to your disability to qualify for Social Security Disability Insurance. NOTE: There are many factors and special rules involved. Your earnings; your age; your status as blind, a disabled widow, widower, or child; or other information must be properly applied to your specific case or you risk losing the opportunity to collect benefits you need. File for benefits as soon as you become disabled to see that you receive the maximum amount you are entitled to. You can apply for Social Security Disability Insurance benefits in person at any SSA office, by telephone, mail, and even via the Internet. • You must be disabled (by SSA definition). Individuals who are clearly disabled get awarded SSDI or SSI benefits without having to wait too long. The new rule aims to identity those individuals that have a high potential to receive fully favorable decisions, and expedite their process for benefits. A new “Quick Disability Determination (QDD)” unit will handle the claims of individuals who have certain disabilities that are easily verifiable by evidence. This new QDD unit will be comprised of DDS employees who are experienced at making these sorts of disability determinations and have the knowledge and training needed to carry out this function. Each QDD unit will be made up of experienced examiners and a medical expert. A claim will need to be signed-off as qualifying for benefits by both the examiner and expert before benefits are awarded. If an individual meets the QDD criteria for a favorable decision, meaning their disability is one that is highly likely to receive a favorable decision and is easily verifiable by evidence, then the QDD has a 20 day timeline in which to make a favorable determination of the claim. Therefore, such individuals will get favorable decisions within 20 calendar days after their claim is received by the QDD unit from the field office, rather than having to wait for the regular extended periods of time. To determine if you have worked enough to be covered, SSA applies the work credit system. To receive a “work credit” you must earn a certain amount of money in a year (in 2008 the amount is $1,050). You can earn up to four work credits in any one year. If you earn $4,200 in a year you earn four work credits for that year. Go to www.marksandharrison.com/ssd-application-process to start your 5 step application process.